Also included: A powerful new custom lighting system dubbed Aura illumination. While much of CES 2016 devotes itself to wearables, car tech, and smart forks, Asus is keeping its eyes on PC enthusiasts with a flood of new computer hardware catering solely to gamers. 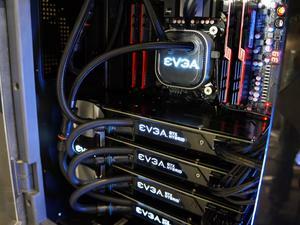 Witness, for example, the trio of new motherboards revealed today, which rock temperature-plunging designs created in partnership with the water-cooling wizards at EK Waterblocks, the first-ever Nvidia SLI certification on an AMD 970 board, and customizable lighting features galore. 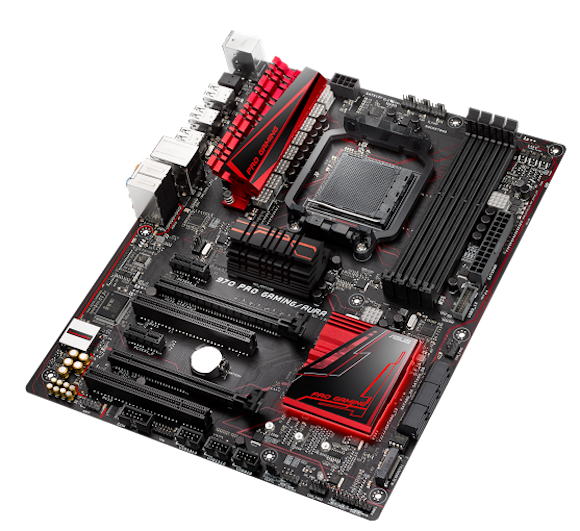 First up: The Asus ROG Maximus VIII Formula, a Z170 ATX motherboard created for liquid-cooling lovers. This board features a custom EK Waterblocks’ CrossChill water block with a high-conductivity copper channel to help keep your mobo’s VRMs nice and chilly. How chilly? Asus says MOSFET temperatures were reduced by up to 23 degrees in internal testing. 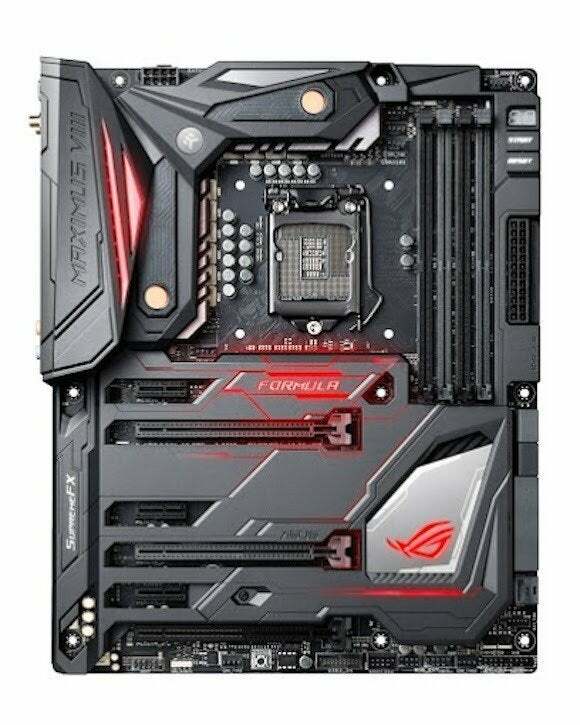 To match that high level of aesthetics across the rest of the board, the Maximus VIII Formula also sports laser-engraved ROG Armor and Asus’ Aura LED illumination system, which merges onboard LED lighting with a header for RGB light strips to allow you to customize your system’s lighting as you see fit. You can even have it strobe to the beat of the music you’re listening to or change along with your CPU temperature. Nifty. The Maximums VIII Formula comes equipped with Intel Gigabit ethernet with LANGuard, top-notch audio components, and a 5-Way Optimization tool that lets you tweak your system’s hardware for work, play, or entertainment with the click of a button. 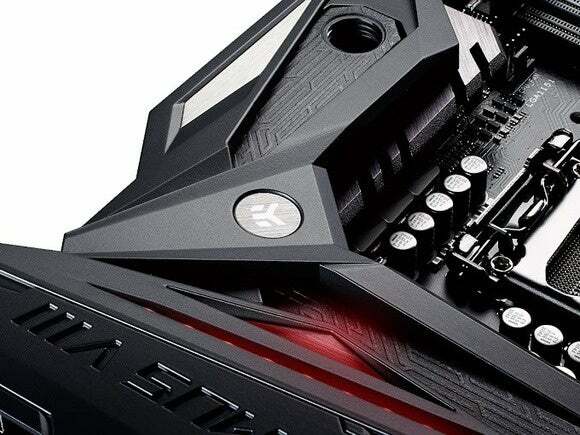 The key highlight of the Asus 970 Pro Gaming/Aura, on the other hand, is that it’s the first-ever AMD 970 motherboard officially certified by Nvidia for SLI GeForce setups. Two enemies, united at last. Beyond that, the 970 Pro Gaming/Aura rocks an Aura lighting system similar to that in the ROG Maximus VIII Formula, as well as the same LANGuard/Intel Gigabit networking duo. 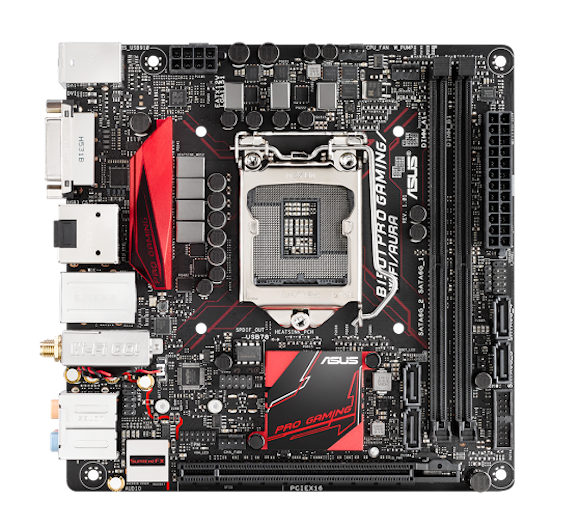 The board also features Asus’ SupremeFX and Sonic Radar II audio technology, as well as a dedicated water-pump header. The ROG Maxiumus VIII Formula can’t have all the fun! And unlike so many motherboards these days, the 970 Pro Gaming/Aura supports blazing-fast NVMe SSDs out of the box. Finally, for folks who prefer their PCs on the petite side, there’s the Asus B150I Pro Gaming/Wi-Fi/Aura, which features the same networking and Aura lighting features as the other two motherboards, but in the smaller mini-ITX form factor. This board also rocks a water-pump header, and includes onboard 802.11ac Wi-Fi with MU-MIMO for turbocharged wireless connectivity, and a M.2 socket to house the lastest, greatest, and fastest SSDs around. This was just the tip of the iceberg for Asus’ PC enthusiast lineup. We’ll be checking out Asus’ CES 2016 suite later this week, so stay tuned for much, much more.